WHAT IS GOLF TAC GRIP ENHANCER? 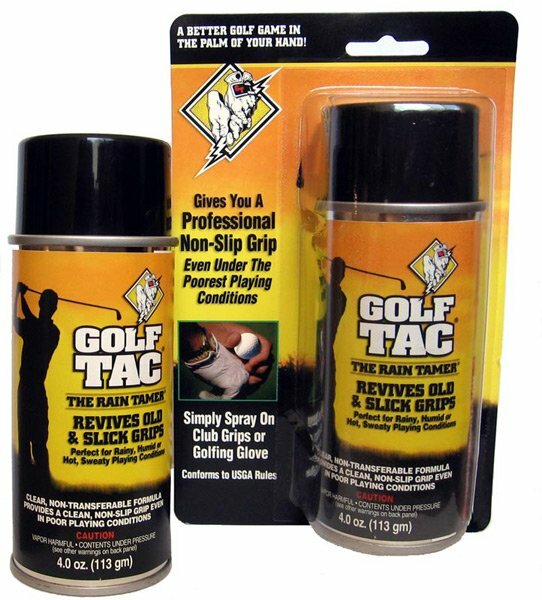 Golf Tac is an aerosol spray product that you spray on your golf club grips and/or golf gloves to improve your grip on the club handle. Golf Tac is identical to Pow’r Tac–same formula inside the can just a different label so it can be marketed to different athletes. • Non-transferable. Golf Tac will not migrate from your club grips to your hands or golf glove. • Pressure sensitive. Golf Tac will not pick up grass or dirt if your club is laid on the ground. • Rubber based formula. Contains no pine tar, so no brown pine tar mess. • Clean, invisible spray with pleasant vanilla scent. • Weather friendly. Rain cannot penetrate the rubber based formula making Golf Tac ideal for improving grip in rainy conditions. 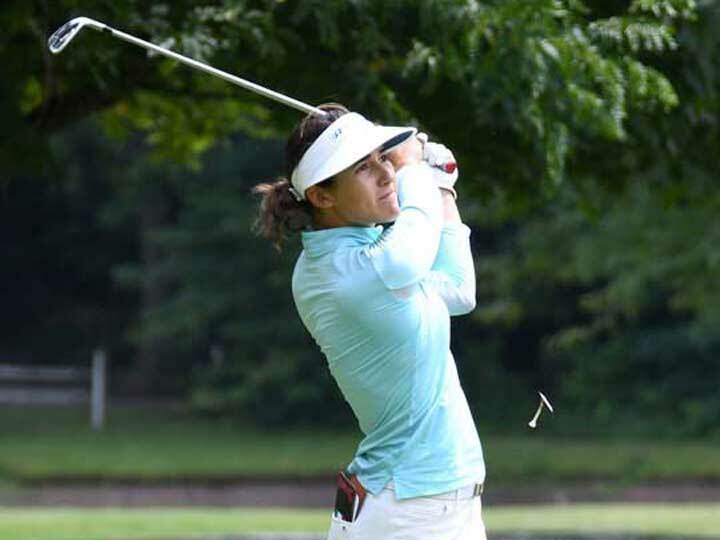 • Golf Tac conforms to USGA rules. Some players don’t like spraying Golf Tac on their clubs and spray it on their golf glove instead. The same idea applies here–spray a very light coat, let dry at least 30 seconds, and test for tackiness. WHO USES GOLF TAC GRIP ENHANCER? Obviously golfers use it. Golf Tac has gotten a nice following from retirees. We hear from arthritic golfers who really love Golf Tac. They are very loyal customers. 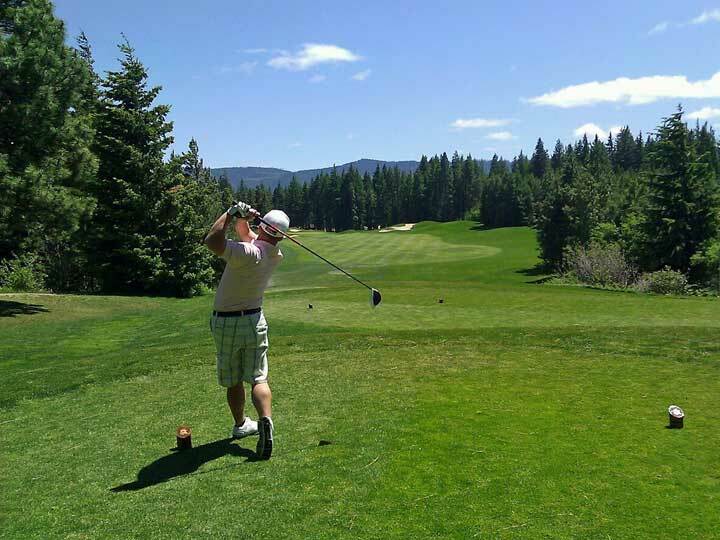 Another segment of golfers that love Golf Tac are players that play in rainy climates. Golf Tac, also known as the “Rain Tamer” can help in rainy conditions because the extra grip it provides gives golfers an edge when playing in the rain. Also helps in hot, sweaty conditions to stabilize your grip. The idea with Golf Tac is to give your grip some finesse. 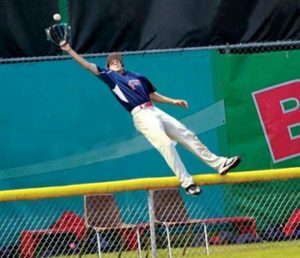 Golfers don’t need to apply a lot of Golf Tac because unlike baseball and softball players, they’re not putting a vise-like grip on their clubs when they swing. They want a more nuanced grip, not a power grip. 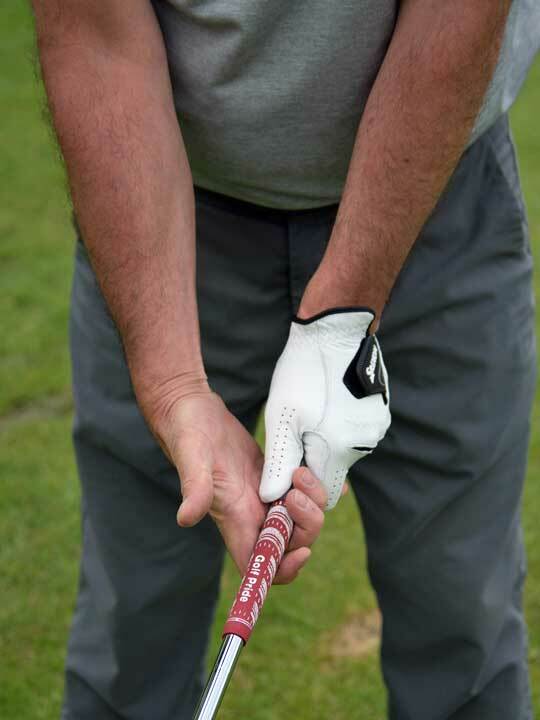 Just enough extra grip to keep that club head from twisting when swinging. Golf Tac–a better game of golf in the palm of your hand.